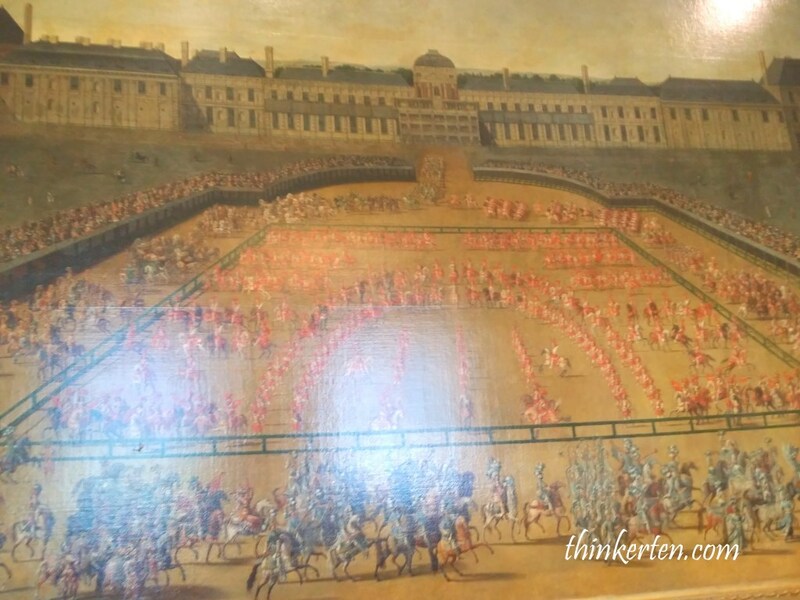 Palace of Versailles was the official residence of the Kings of France from 1682 until 1790. 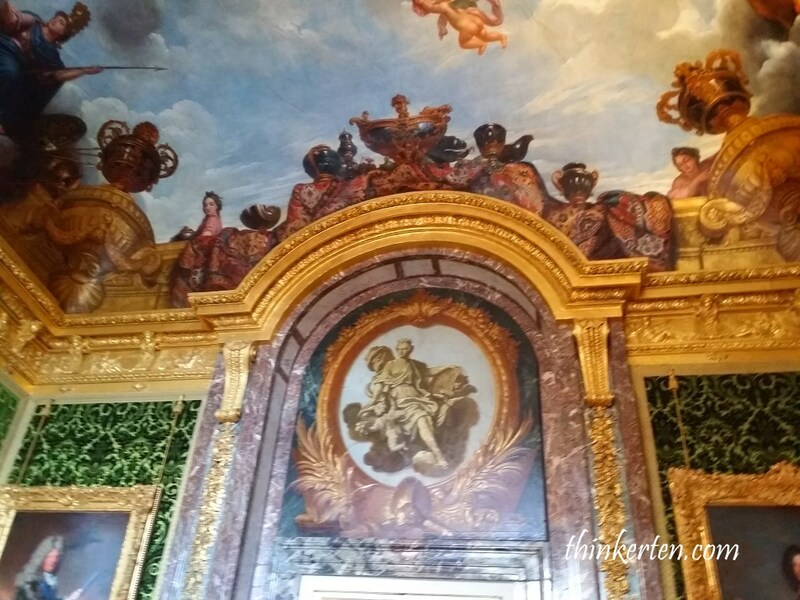 It was first used as a hunting lodge by Louis’s father, then expanded by Louis XIV also known as Louis the Great or the Sun King! 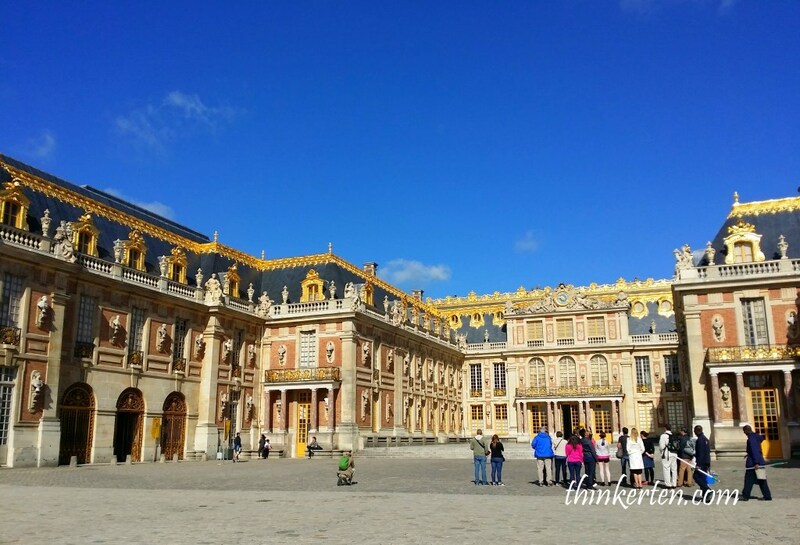 The Sun King has a sentimental reason for choosing Versailles and make it as his palace because as a boy he used to play and hunted here. The Sun King has spent his whole life building this magnificent palace. Today it is used as a museum, quite a stunning museum. People would normally visit Louvre and Versailles Museum in Paris as these are the most famous museum in the world. 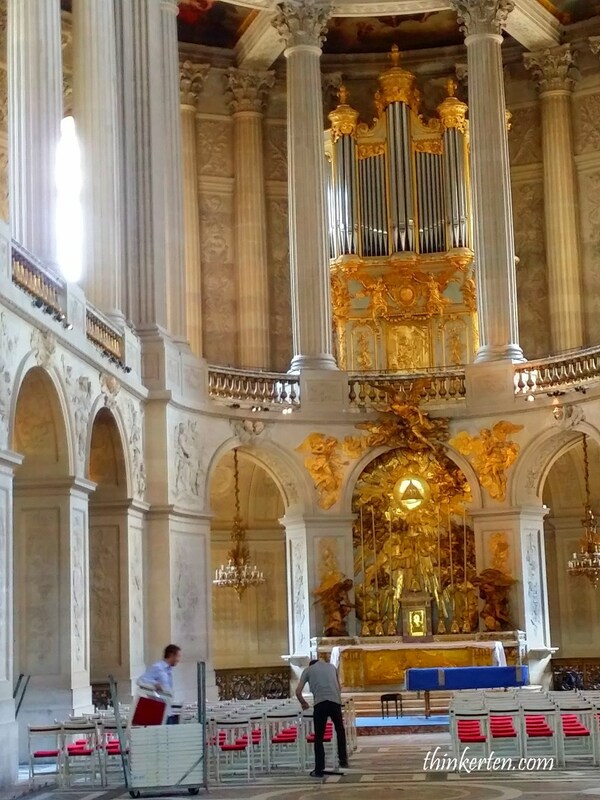 Versailles is about 1 hour away from Paris City. You need to be there as early as possible to avoid the crowd, especially in peak period, such as summer time. The queue may get very long to get in, be early. The area of the palace is very big. There is a famous garden with 200,000 trees and 210,000 flowers planted annually. Don’t missed the fountains in the garden, about 50 of them. If you don’t like history, you can spend more times in the Garden of Versailles, which also considered just as important as the Palace. Well, the guy who designed the landscape of the garden is called André le Nôtre, also known as the greatest landscape architect in France. 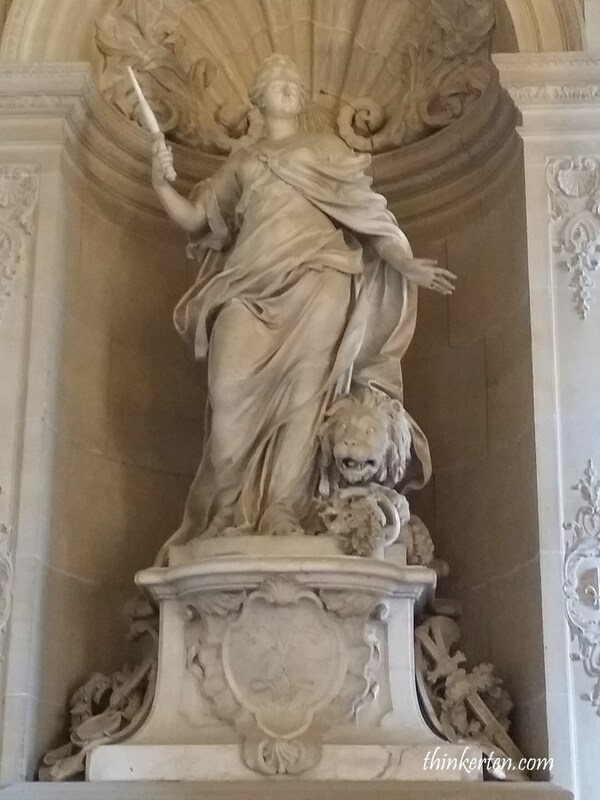 Versailles has been home for three generations of French Kings and Queens from 1682 until the beginning of the French Revolution in 1789. Each King enhanced the palace and the garden to make it more beautiful depending on their own liking. 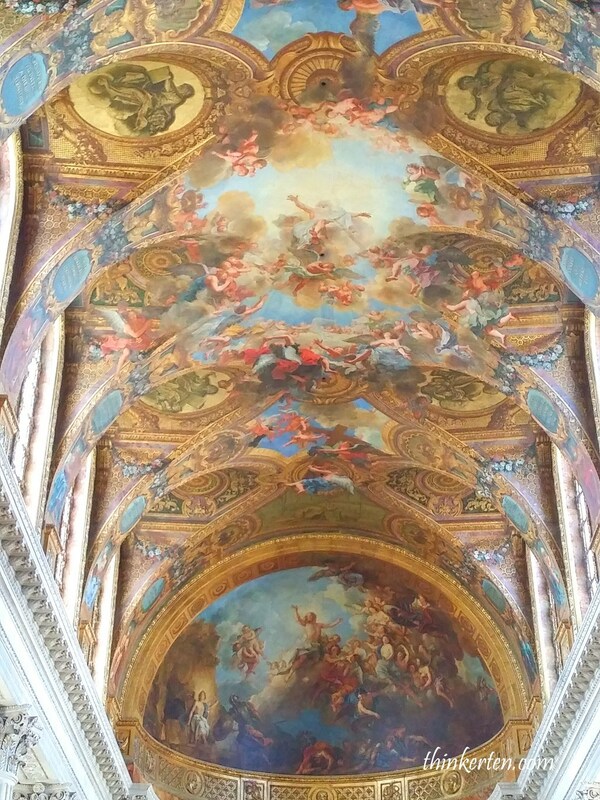 As a result, the Palace of Versailles is considered one of the most beautiful achievements of 18th century French art. 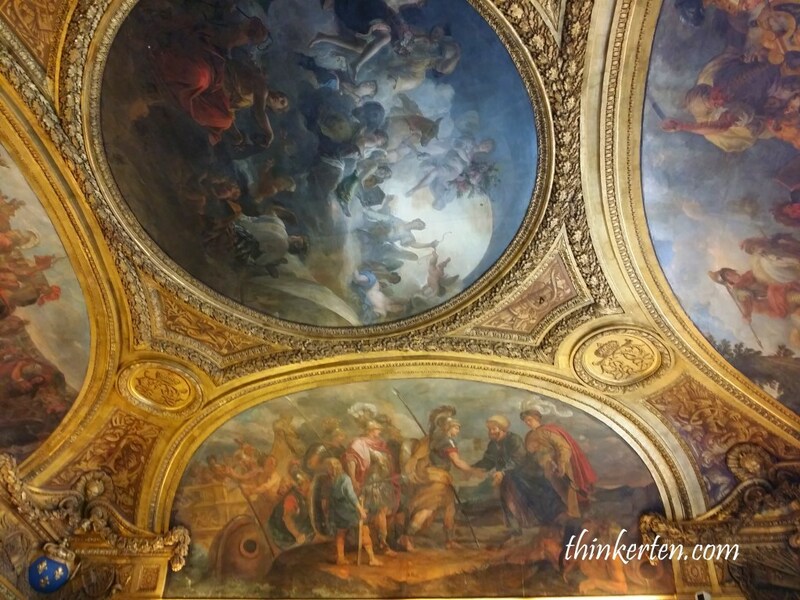 You should visit Versailles City beside the Palace, as this is one of the richest city in Paris. Go to pick up an audio guide before you tour the palace, it is interesting and you actually know what you are looking at and go with your own pace. 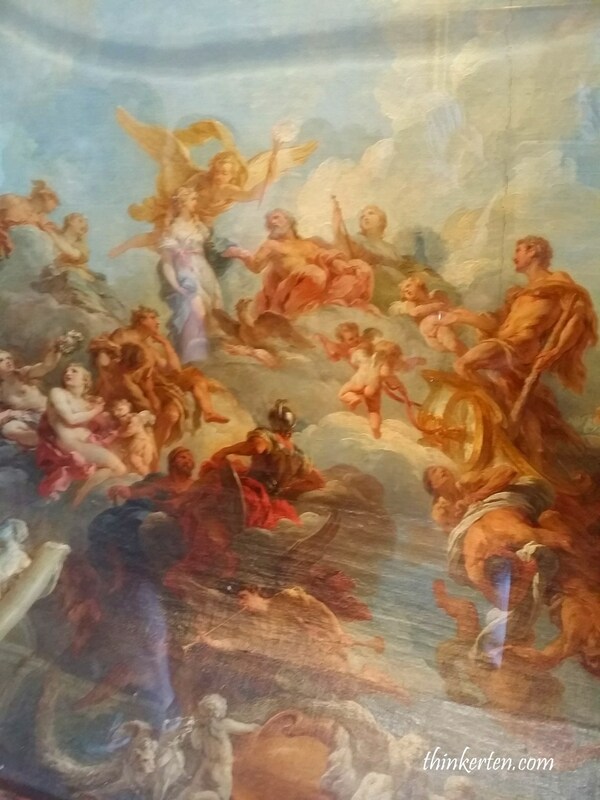 Walking into the Versailles museum, you will be bombarded with rooms fill with painting, sculptures all over, you will have to look up down sides. 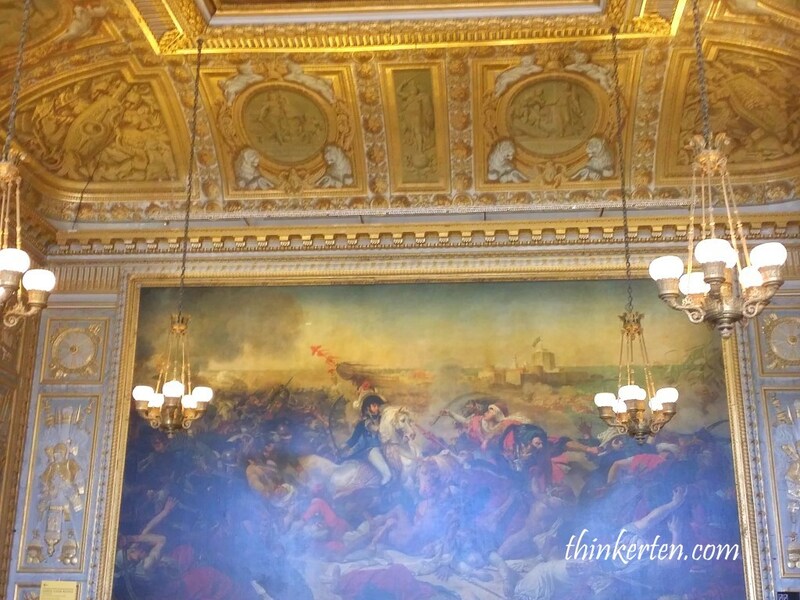 The Gallery of Great Battles is the largest room in the Palace, it has the highlight of the history of France. 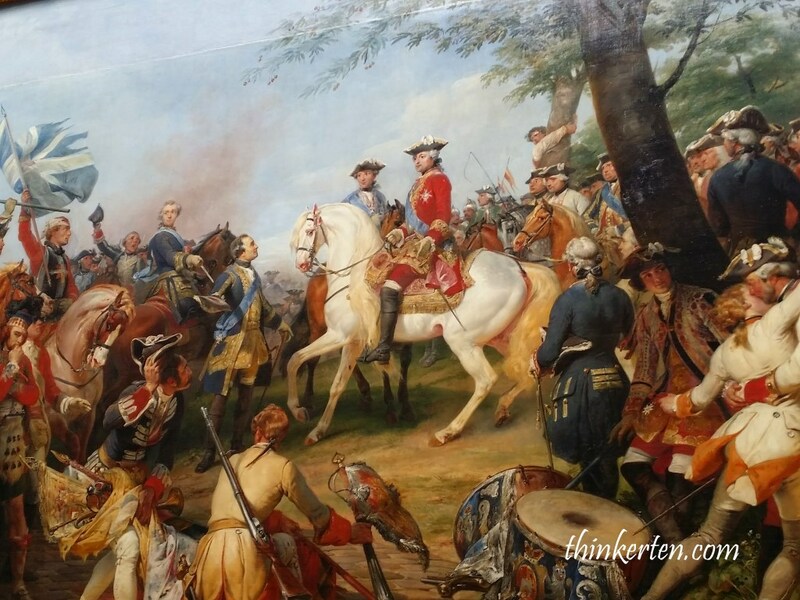 It has many grand pictures related to the battles. 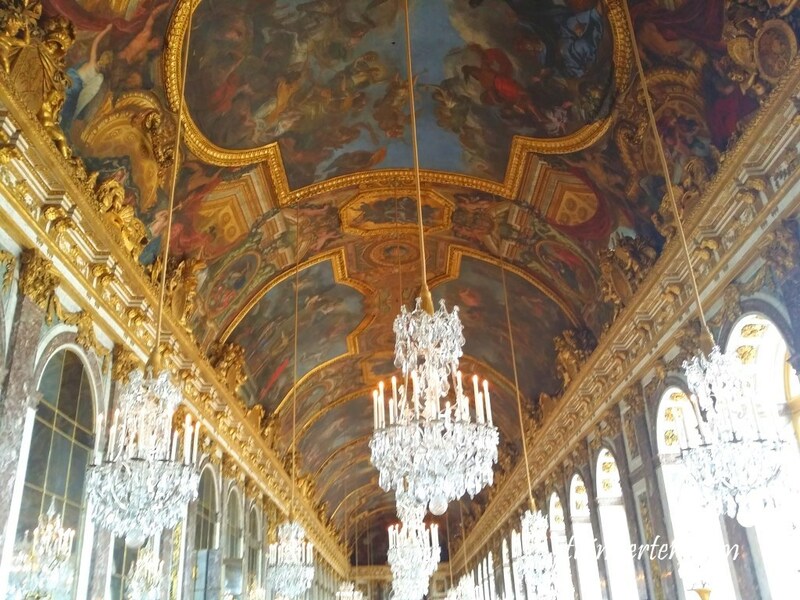 The Palace of Versailles is also Unesco world heritage site for 30 years, you will notice the palace is fill with extravagance decoration, plenty of gold, crystal and precious gems. It is very well preserved site I would say. 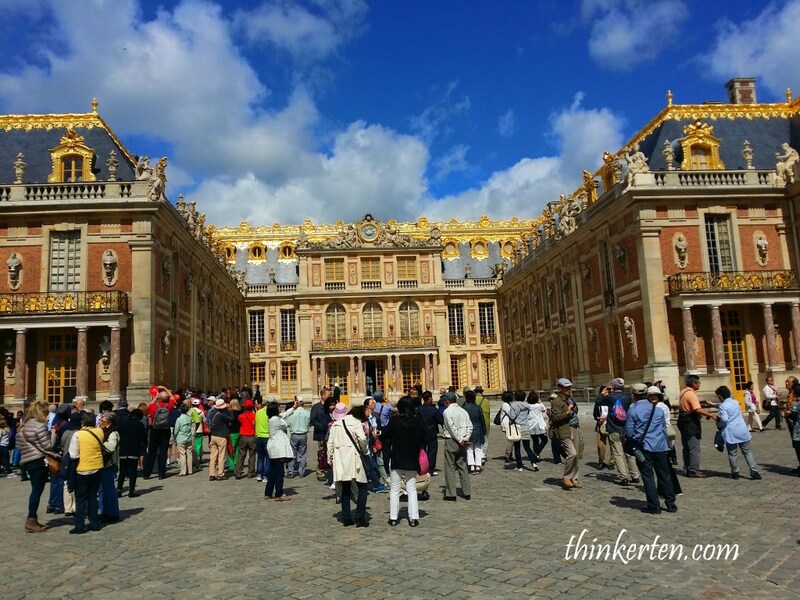 Versailles has 700 rooms, more than 2,000 windows, 1250 chimney and 67 staircases is capable of holding up to 20,000 people! All the royal family can stay here and including the French nobility and government officials. 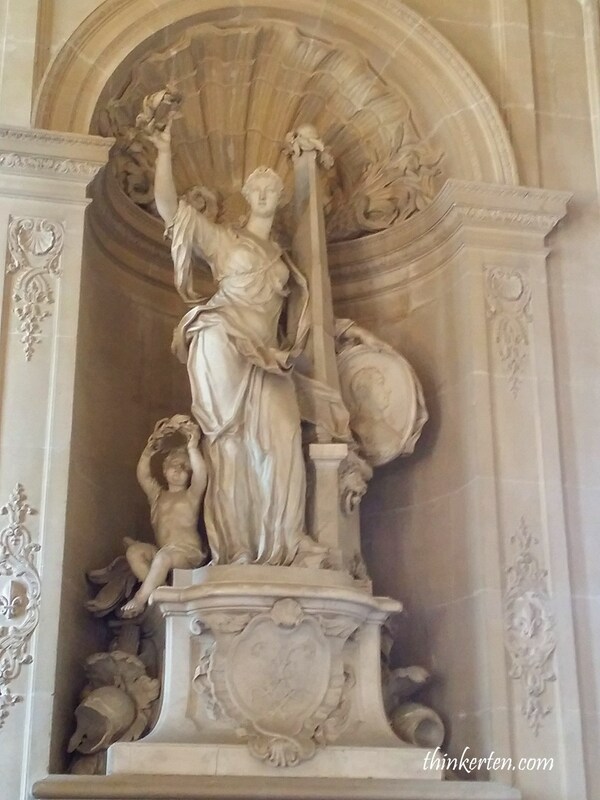 There are many sculptures can be found in Versailles Garden but few only decorated inside the Palace. In total there are over 300 sculptures altogether but 221 were at the outdoor garden, few can still be found inside the Palace. 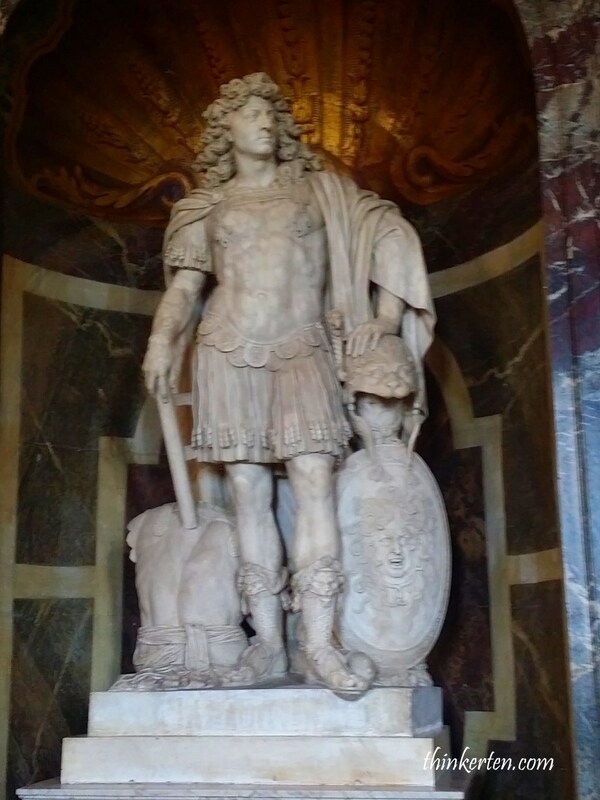 A heroic statue of Louis XIV, who ruled France from 1643 to his death in 1715. 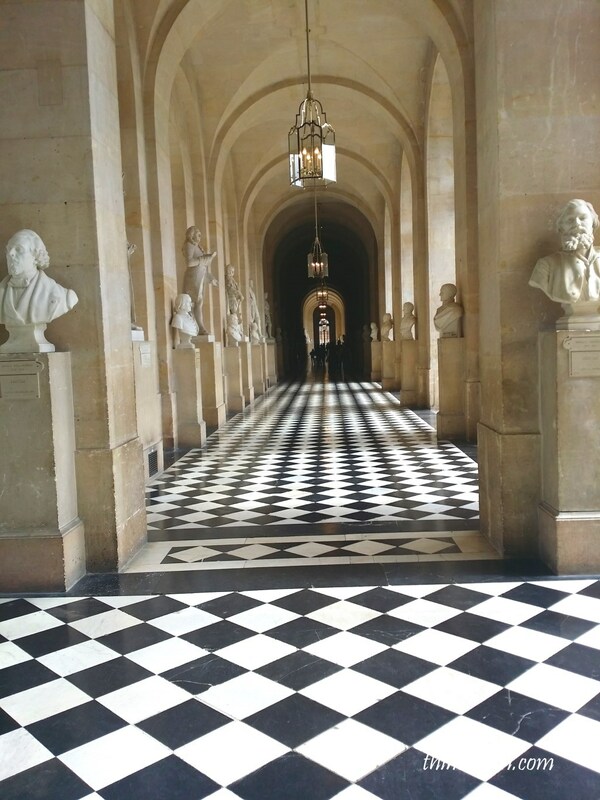 There are so many rooms in the Palace and one of the most famous room is the Hall of Mirrors, which runs along the entire length of the central building. 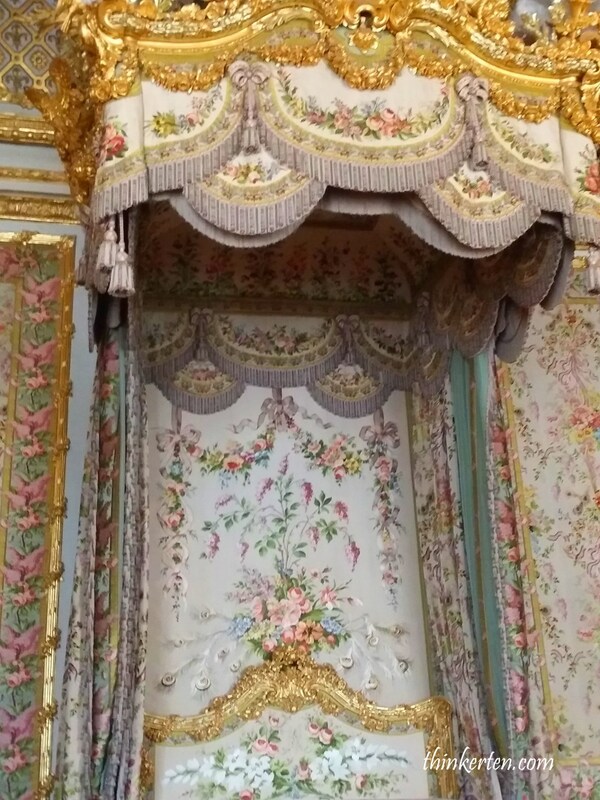 One wall contains a row of giant windows looking out over the garden, and the other wall is covered with 357 mirrors that catch the rising sun’s rays inside the palace and remind us of Louis XIV. The several glass chandeliers that hang from its ceiling, are another beautiful aspect of the hall. On special occasions, the Hall of Mirrors was lit with as many as 20,000 candles to transform it into a “corridor of light”. 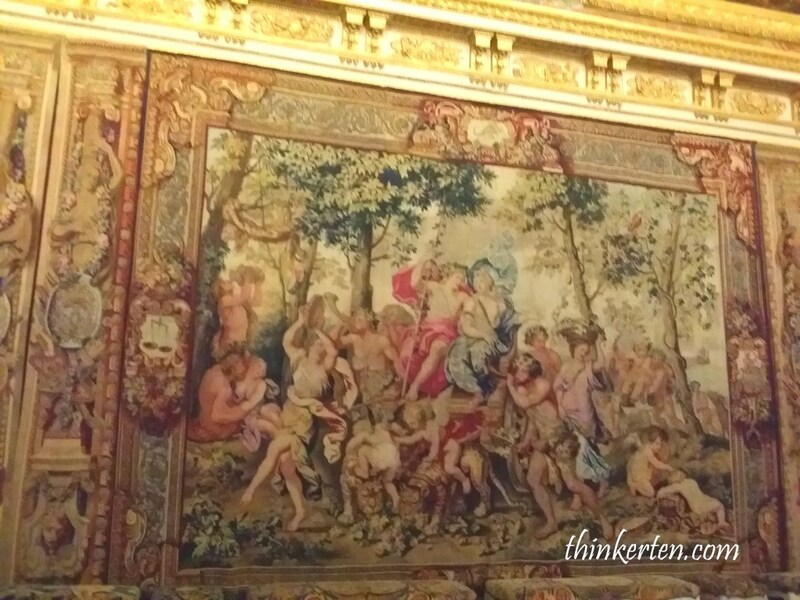 Beautiful linen decorated for royal family bed chamber. Plenty of gold were used. The Bedchamber is the most important room in the apartments and is where the Queen spent most of her time. It was where she slept, often with the king. 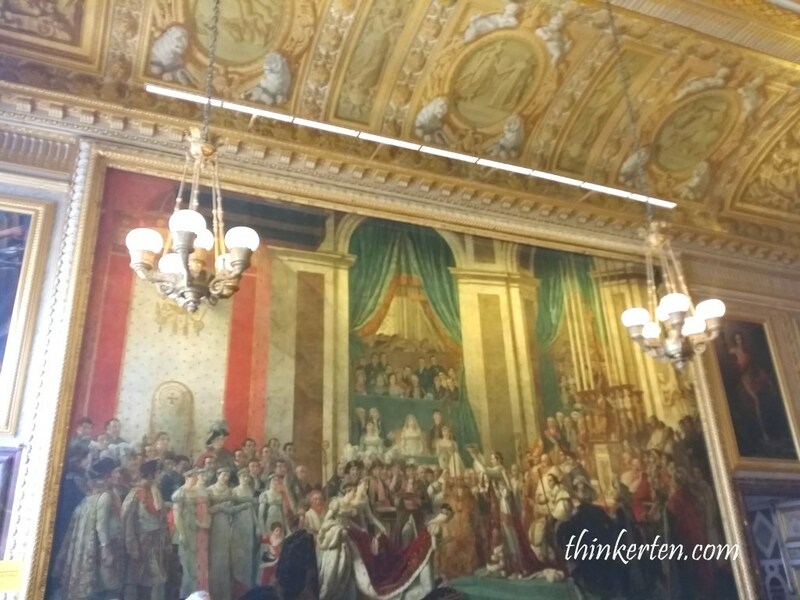 It was also here that the Queen give birth. 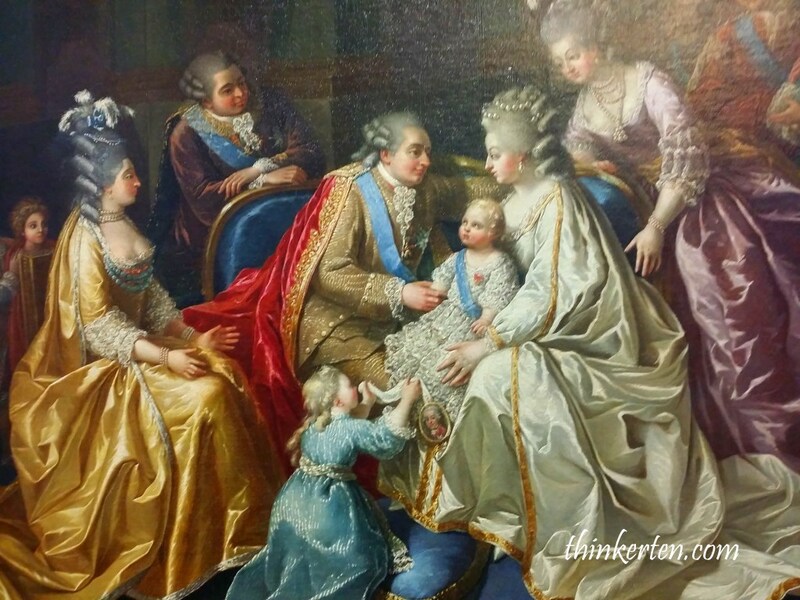 The Coronation of Napoleon by Jacques-Louis David and Georges Rouget. 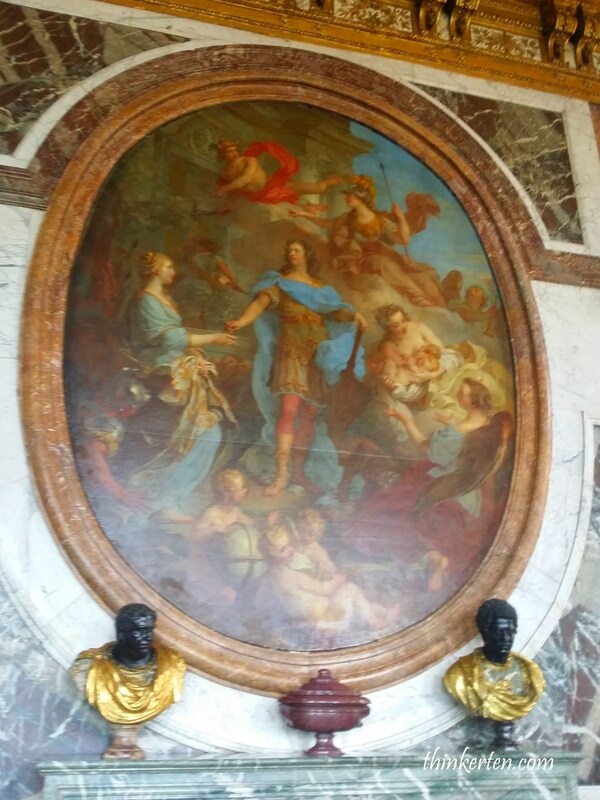 Hanging in the Coronation Room at Versailles. This is one of the the important piece. 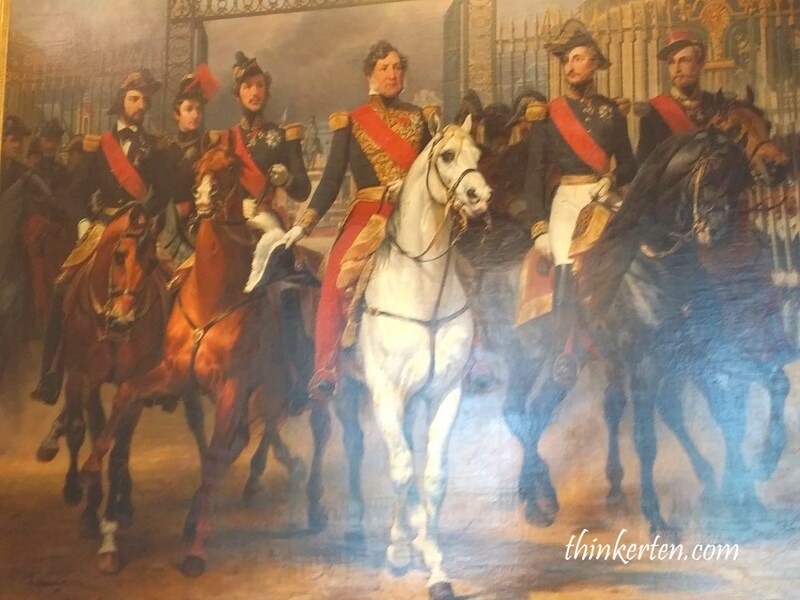 It is best if you get some background information about the King Louis XIV and the French Revolution before stepping into this museum. 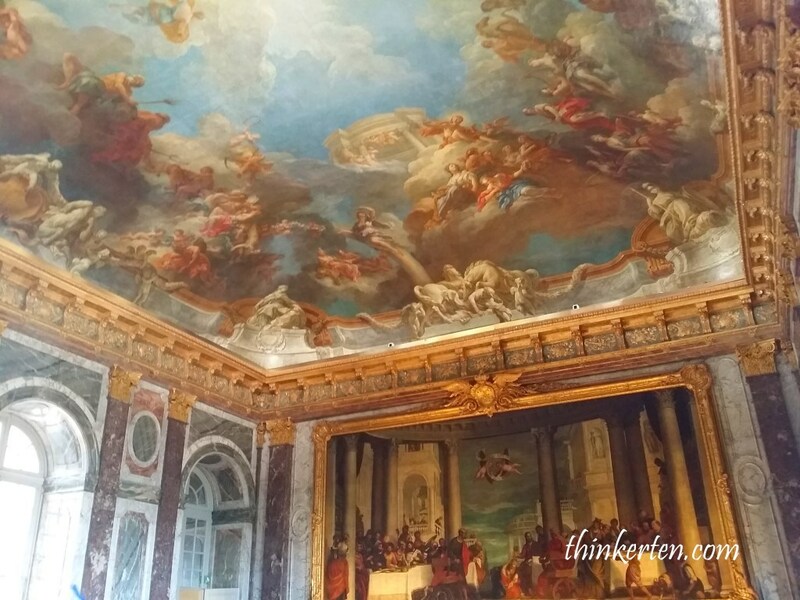 The Grand Trianon is an impressive structure which provided an escape from court life for French kings. 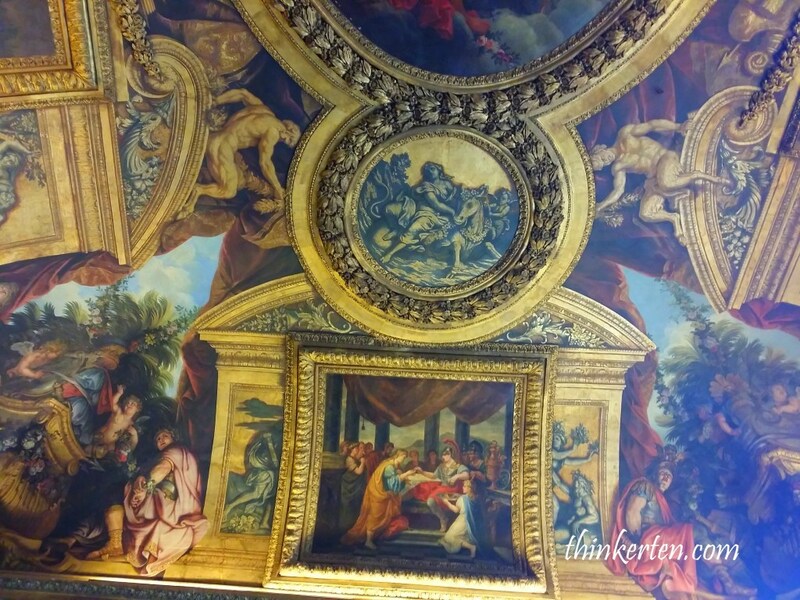 Louis XV spent time here with a series of mistresses, including his favourite, Madame de Pompadour.